Award winning circular turntable. One of the best sounding (and best looking) turntables at this level we've ever heard. Generous trade ins available - please contact us for pricing. Earn 1749 loyalty points when you order this item. 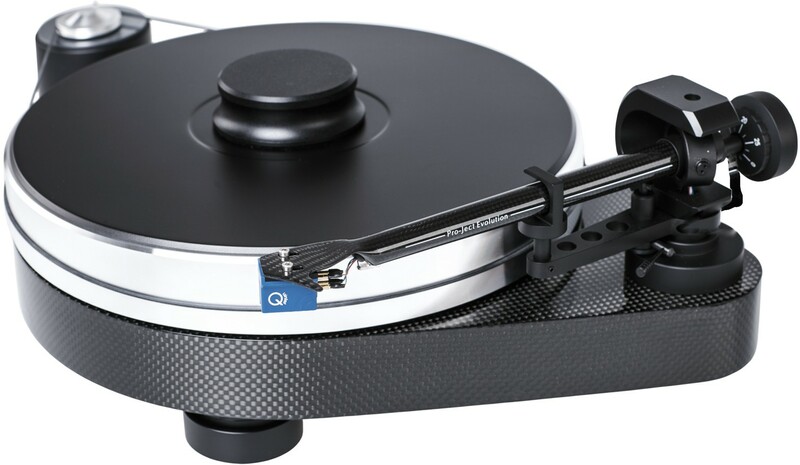 Pro-Ject RPM 9 Carbon turntable (available on 0% finance with generous trade-ins available) is the latest incarnation of the classic RPM 9 model, which was created after extensive testing and R&D to improve upon an already iconic turntable. The RPM 9 is constructed with a sandwich design plinth which combines medium density fibreboard (MDF), steel pellets and lightweight carbon fibre. The MDF base is precision CNC-machined with resin coated steel pellets to give an extra-heavy sandwich construction. 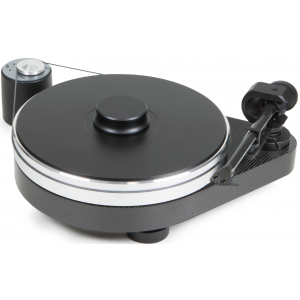 The sandwich construction is treated to a complex heat treatment and the with the carbon fibre surface coating on the top of the plinth ensures that the turntable has exceptional low resonance. This Pro-Ject turntable incorporates an extra heavy mass loaded chassis which is decoupled from its surface by means of magnetic feet. The platter is constructed from polished aluminium weighing 7.2kg, which is acoustically inert with TPE damping, a vinyl top and inverted ceramic main bearing which is designed to produce consistent stable speeds with extra low rumble. A significant enhancement of the RPM9 Carbon is that the extra heavy outboard motor also has a high precision motor controller which allows for easy switching between the different revolution speeds of 45 or 33 RPM. 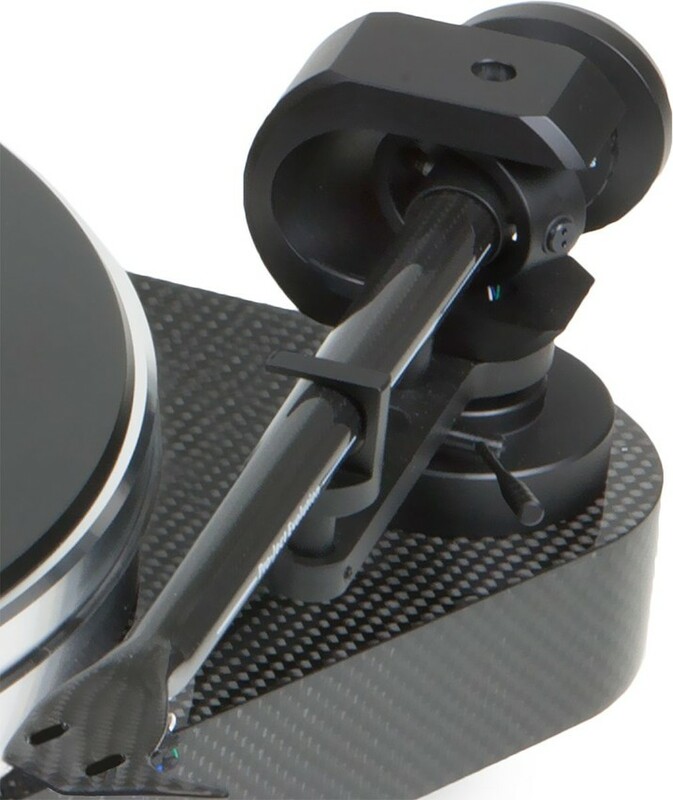 The superior construction of the RPM9 Carbon is matched with Pro-Ject’s no compromise 9cc Evolution tonearm which provides perfect tracking and excellent sound quality even with demanding cartridges. 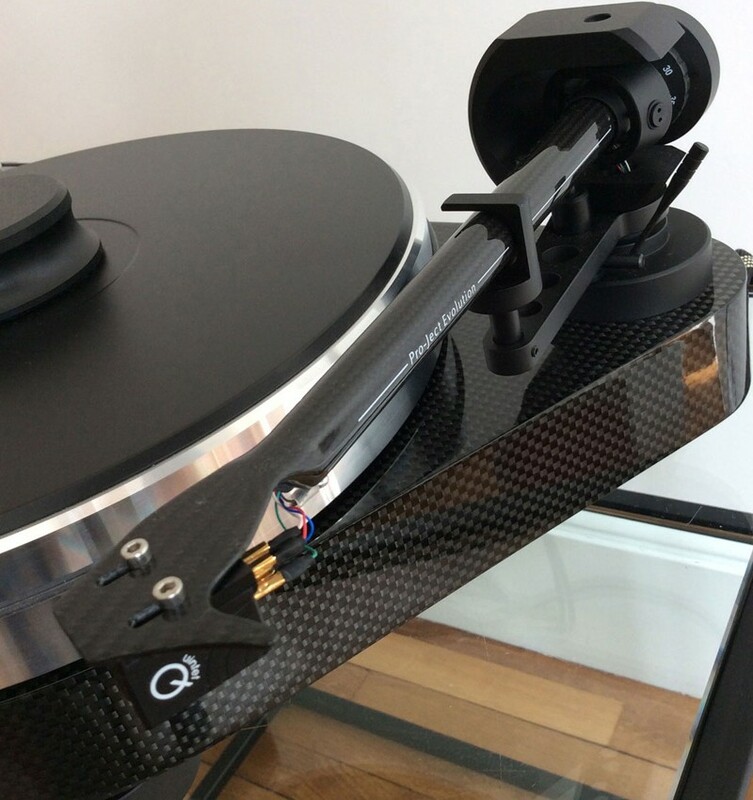 The Pro-Ject Carbon is completed with a 5P Connect it Phono CC cable with RCA plugs. The RPM9 can also be fitted with XLR connectors as an option on special orders. 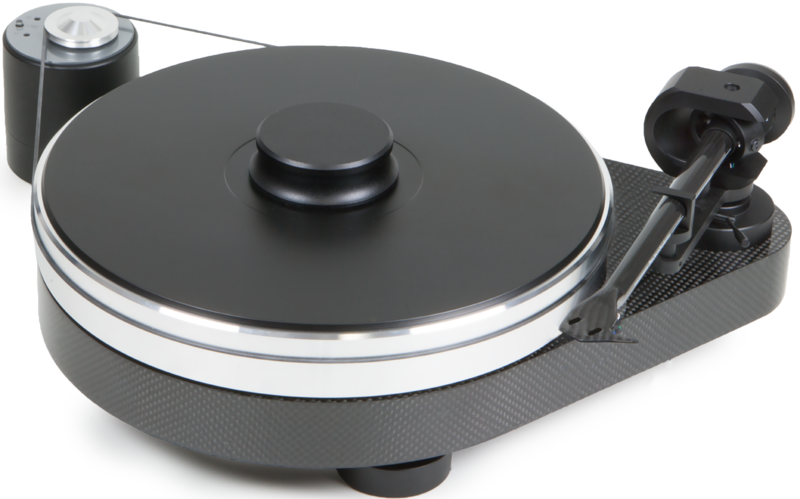 The result of all Pro-ject's improvements is another fantastic turntable to add to the range of Pro-ject turntables.